Agriculture in Kenya; Do we really understand how important agriculture is to us Kenyans? Do we really understand the magnitude of it and how it affects us and our economy? Many people usually say agriculture is the backbone to Kenya’s economy but do we really know the meaning of that word? Do they really know what agriculture actually involves? The science or practice of farming, cultivation of the soil for the growing of crops and the rearing of animals to provide food, wool, and other products is the definition of agriculture. Although Kenya has less than eight per cent of land that is under cultivation, agriculture still remains Kenya’s most important economic activity. Agriculture has not been fully utilized in Kenya and there are very many opportunities the unemployed youth can utilize and make it big instead of complaining of lack of employment. However, many people especially the youth do not realize this and take advantage and generate to generate income for themselves and create job opportunities for other Kenyans. The problem that arises though is no longer seems that of youth viewing agriculture as a dirty job. The problem has become that of lack of passion, ambition and focus. They will claim its hard work and too much hassle. Some will even claim that when they take up farming it means they will look hopeless and appear to have failed in life after studying so hard at the University. Those with such arguments need to research and see the truth. Agriculture is not hard nor does it mean you have failed in life if you take it up as a full time job. Fear and lack of ambition is what is keeping you from taking the baton and running all the way to success. Take the example of this young man from this article who has managed to make millions only because he had the guts to research and take up agriculture as his main business. Agriculture is not just about maize farming, cows and tilling the soil; however, this is not all that agriculture is limited to in today’s society. Yes, farming is the most common form of agriculture but there are many types of value addition activities that make up the whole of agriculture. When you venture into this kind of activity then it’s known as agribusiness. Agribusiness involves farming, processing and manufacturing and/or the packaging and distribution of products. By taking up agribusiness you do not have to necessarily be on the ground practicing farming but you can get into supplies and help farmers find market for their produce. You can even purchase some of these products yourself, add value to them and sell them at a more profitable price. This is how you empower yourself and move forward in life. This is how the economy of Kenya improves through you. This is how we develop as a country. By opening our eyes and realizing that we are surrounded by so many opportunities the only thing that we are missing is ambition and passion. Agriculture can change your life; you just have to believe in yourself. If this is your first time to practice farming then you need to get your act together. Do not assume anything. Many farmers usually brush off details that they deem unimportant in the farming activity they are about to undertake. Things like fencing or soil tasting among others could cost you a lot of money if you do not follow farming advice to the book. This small mistake may lead to severe losses that will leave you crying at the bank. Obtaining Information from the wrong sources. I remember a story of a first time chicken farmer who saw signs of timidity and sickness in her chicks. She then sort advice from an experienced Poultry farmer who told her that chicken should not be vaccinated, she followed the advice which led to a series of paralysis for the chicks. Had she consulted the real experts nothing of that sort would have happened. A mistake as such comes with consequences. It’s wise to note that one should always be careful with finding information in regards to the same. This has to do with the belief that farming just happens and that not much effort is needed be put. Say, one is told that tomatoes should be sprayed once a week, out of ignorance, the farmer chooses to spray once a month during the rainy season, this leads to crop infections, which could have otherwise been avoided had instructions been taken seriously. You have enough capital, a big land and enough water to practice farming. The next step is to get the ball rolling and start generating income. With all the success stories you have been watching and reading on TV, it’s difficult to resist investing big and doing all you can to earn like all those farmers being featured. In your mind you tell yourself that farming is easy if you have all the requirements needed and with that you come up with a strategy that will make you a millionaire within 3 months. You even ignore advice from experienced farmers and take matters on your own hands. With the capital you have you are tempted to scale up your investment so as to maximize your land space and profit projections. Doing this will result to a heavy workload to you as a farmer and eventually lead to frustration and burnout. Many farmers have usually fallen for this trap and ended up making losses instead of profit. The best thing to do as a beginner farmer is to start small during the first growing season and then expand slowly as you move forward. This will give you more farming success and a solid experience over time. Let’s say you have 10 acres of land and a capital allocation for just that. It would be advisable for you to invest in only 5 acres because the amount of management work will be minimal and easy to manage. This is the way to succeed. The bottom line is, many blunders committed by Farmers are avoidable if keenness, seriousness and dedication are put in play. Growing of vegetables is a viable option that yields high returns over a short period of time that is between the planting and harvesting season. It also requires little capital investment and relatively simple to manage. Market demand is a significant factor to be considered while deciding to venture in growing of a particular vegetable. This article will expound on capsicums, cabbages, onions and Kales (Sukuma Wiki) and how they can be profitable farming ventures especially during the dry season to grant high returns. These four vegetables are important business ventures for farmers in Kenya to invest during the dry season because they give high returns with less supervision over a very diminutive period of time. The nutrition components yield from each also aids in marketing of these products. The piece of land required to grow the vegetables is relatively small, making it easier for a farmer at any level to undertake. Farmers should invest in the above vegetables because they are sure of a constant market for their produce and there is less competition during the dry because many farmers tend to engage in annual crops like maize that grow over a long period and they will be concentrating on harvest season. All you need is a constant waters supply to ensure your crops don’t dry up from the harsh weather conditions. Growing these vegetables during the dry season will fetch a higher price in the market because of demand therefore farmers will enjoy high gains. Capsicum is a vegetable, commonly referred to as sweet pepper that is used as a natural spice. It is grown under sheltered sunny conditions and exists in various varieties and shapes. Capsicum has a wide range of nutritious benefits since they provide a rich source of vitamins, alkaloids that present an anti inflammatory, analgesic role therefore act as an antioxidant. It has a high demand in Kenya during the dry season especially in Nairobi.You can plant around 10,000 plants of capsicum on an acre of land and each plant will yield 10 heads which means you will get 100,000 heads after a growing period of 90 days. Onions form a foundational part in various soups, salads and casseroles. They are part of the alliums family and exist in a variety of types that include, green onions, dry bulb onions and the white onions. It takes about 4 months for onions to mature making it a feasible venture for farmers in Kenya to undertake. The health benefit achieved from onions include improving of body immunity by providing vitamin, contains chromium that assists in regulation of blood sugar and for many years heal infections by reducing inflammation. Onions can produce 20,000 Kgs bulbs per acre with good management. Some of the onion varieties in Kenya are Red Pinoy F1,, Jambar F1, Red passion F1, Red Comet F1 . Lastly is kale which is the most common vegetable belonging to the cruciferous cabbage family. It does well in a hot and wet climate, and takes between 6 and 8 weeks to mature before the first harvest. Kale are of great nutritious value to our bodies, to mention but a few that are, help lower the level of cholesterol in our bodies, therefore reduce the risk of acquiring heart diseases. You can get upto 16 – 20 Tonnes of Sukuma Wiki per acre. “Recent downgrades by investment rating agencies indicate that South Africa has reached a dangerous and critical crossroad,” says the chief executive officer of Agbiz, Dr John Purchase. The agribusiness environment will face even more challenges in 2016 than last year. Subdued local economic growth prospects, constrained consumers and weather, as well as policy and labour uncertainty will continue in a deteriorating economic, social and political environment. • The finalisation of the Expropriation Bill in Parliament. • The introduction of the Regulation of Land Holdings Bill, which proposes land ceilings and the prohibition of agricultural land ownership by foreigners into the legislative process. • Engagement on the Preservation and Development of Agricultural Land Framework Bill, both directly with the Department of Agriculture, Forestry and Fisheries (DAFF), but also within the National Economic Development and Labour Council (Nedlac) environment. • The Carbon Tax Bill. • The National Skills Development and Sector Education and Training Authorities (SETA) landscape. • The Border Management Agency Bill. • The Liquor Amendment Bill. • New legislation governing the water environment and giving effect to the cabinet-adopted National Water Resource Strategy Version 2 (Water Amendment Bill and Revision of the Pricing Strategy for Water Use Charges in terms of the National Water Act, 1998). • The implementation of the AgriBEE Sector Code, once finalised. Click in the link below that we would like to share with you. An array of facts and features characterizes the reality of the agribusiness sector in the Eastern and Central African Region. First the region is blessed with some of the best natural conditions and resources for the exercise of agriculture: excellent temperature and light regimes, varied agro-ecological zones, vast extensions of virgin land with soils of excellent conditions and sound water resources. The ideal scenario for the growing of virtually all kind of crops, all year round, at the highest productivity levels and lowest production costs. Population rises rapidly in the region and it is expected to keep rate for some years to come. This will challenge the respective states to deliver all basic servi ces demanded if social standards are set to be improved or at least maintained, being the very first demand of all, the assurance of sufficient food for all. An additional phenomenon linked to demography is happening and expected to grow sensibly: the migration of the people from rural areas to urban CENTREs in search of better conditions of life. This will transform the food markets. First, in its size as a consequ ence of a growing demand; urban food markets are set to quadruple in the next two decades in this region of Africa. Second, the type of products demanded from the urban market are totally different to those in the average and rural populated areas. Urban consumers demand more processed, convenience and varied products with an upgraded quality; in summary, more added value products. All this together represents unprecedented opportunities, and for sure changes, for upstream and downstream agribusiness industries. On the other end of these prospects, is yet to be seen the evolution of poverty. Different estimates point that 46% of the population in Kenya and 26% of Uganda live below the poverty line. Food security is still a challenge for a significant part of the population in the region. Efforts from local governments and foreign parties will continue in their pursue of securing food availability to a greater number of people and make it consistently. Different and profound are the reasons for which rural property structure has become a major constraint for the capacity to generate wealth of the agricultural access to financing for mechanization and improvement, the result is a subsistence agriculture dominating the industry. The producers structure is dominated by smallholder farmers with 70% of production and 30% down to medium and large scale farmers. Export of agricultural products gather huge potential because of a number of favorable factors, such as competitive costs and geographical location considering the condition of poorly supplied demand of the vast market that means the rest of African countries. Beyond, there exist further potential in countries such as the Middle East and Europe. But the paradox is that probably the most attractive opportunity may be in the home market, given the lack of supply that exists for a growing and changing demand. The access to agricultural production inputs has become a major constraint. Low quality, high prices and inconsistent supply chain of essential elements such as seeds, fertilizers and agrochemicals are among the reasons for the low yields of African farms. Many are the voices in the debate of climate change world wide and varied the assumptions on the effects of it in agriculture at global scale. However, the places of the planet where agriculture is less mechanized and more dependent on climate are undeniable the ones which suffer most. This is the case of Eastern and Central Africa, where rain fed agriculture is predominant. A chapter of fundamental negative effect on the agribusiness sector in the EAC region is the poor condition of the main infrastructures. Paved roads account for a tiny fraction of the total inventory of roads; some categorized main roads are unpaved, which in a tropical region means that are impracticable for a major part of the year, causing great disruption to traffic and making specially painful and costly the merchandise transport. Railway lines are too limited in coverage and quality of service is poor in reliability. Irrigation networks and storage infrastructure and facilities are far behind the potential and demand for them. Public-private partnership, which so much success have experienced in other countries in the world in the development of irrigation infrastructure at large scale are basically inexistent in relative terms. ICT Information and Telecommunication Technologies have experienced an impressive development in the EAC region in recent years if compared with other services and utilities. The rate of penetration of mobile telephones in all layers of society is very high, specially remarkable in the rural areas. The indicators on the number of users are still low compared to more developed countries, but the trend is clearly positive. Energy supply is a major problem. Territorial coverage is too low, being the rural areas the most affected ones. Not only that, reliability and consistency of the service is poor. And that happens in a region blessed with outstanding natural conditions for power generation from hydraulic, solar and biomass sources, among others. Processing, storing and market infrastructures and facilities are insufficient for the existing demand. The operative ones are mostly dedicated to a reduced number of main crops, such as tea, coffee, grain or sugar. Again public-private partnerships are poorly developed and coverage is minimum. These condition of the essential infrastructure strangle the potential of development of the agribusiness industry like maybe no other factor. Despite the importance of agriculture in the economies of the EAC countries, financial facilities are not adequate for the characteristics of the industry. Farmers find difficult and expensive to get financing for their activities; the most badly affected, the smaller ones. There´s a deeply rooted lack of skills and knowledge in the professionals of all the layers of the agribusiness industry in the region. From basic farmer to managers and entrepreneurs, the problem is evenly spread in the system, keeping the performance of the farms and businesses at minimum levels. Many reasons are involved, but the quality of education at technical, vocational, university and postgraduate level is a fundamental one. The public sector plays a crucial role in the configuration of the agribusiness industry, due to its intervention in regulations, infrastructure, trade, education and policies of support to the sector. Fostering entrepreneurship and facilitating the consolidation of businesses should be a priority. The Ease of Doing Business Index (World Bank) indicates that there is significant room for improvement. The Agribusiness Centre must be immersed in the reality of the EAC´s agricultural industry and it also must be oriented to supply the significant lacks that nowadays the sector suffers, specially in subjects related to training, the implementation of technology, the reinforcement of the commercial skills and the establishment of new business models in agriculture, so that it can become a relevant actor in the international context and being able to adapt to the world agriculture challenges. For several years, experts from the three largest trading blocs in Africa — the Southern African Development Community (SADC), the East African Community (EAC) and the Common Market for Eastern and Southern Africa (COMESA) — were locked in intense negotiations over a free trade agreement whose aim is to bring about a unified and liberalized single market. The talks finally bore fruit on 10 June 2015 when 26 African countries signed the Tripartite Free Trade Area (TFTA) agreement in Cairo, Egypt. Under this agreement, all the 26 countries, with a combined gross domestic product (GDP) of about $1.3 trillion and a population of 565 million, will merge into a common market and eliminate tariff lines and trade barriers. The participating countries will benefit from liberalized intra-regional trade, which is expected to boost the flow of goods and services. When implemented, the free trade area will constitute about half of Africa’s GDP, half of its population and will cover a combined landmass of 17 million square kilometres, about the size of Russia. At the moment, however, only three of Africa’s eight regional economic communities are participating in the TFTA. Non-participating economic blocs include the Arab Maghreb Union, the Economic Community of West African States, the Intergovernmental Authority on Development, the Economic Community of Central African States and the Community of Sahel-Saharan States. For now, these blocs are not participating in this new initiative for political and economic reasons. The Abuja Treaty of 1995 signed by 51 African countries mandates all regional economic communities to join the group by 2017 in anticipation of an African Economic Community by 2028. “The conditions [to form the TFTA] have never been better,” says Sindiso Ndema Ngwenya, the secretary-general of COMESA. “We have improved governance, and the very fact that we withstood the global financial crisis of 2008 attest to sound macroeconomic policies. This is what is giving us resilience,” he told Africa Renewal in an interview. Trade between African countries, as a share of the continent’s total trade has hovered at 10-12% for decades, but some experts argue that the actual figure is much more than that because a big part of the continent’s trade is conducted informally and at times across porous borders where it’s not recorded. The proportion in Europe and Asia, by contrast, is close to 60%. South Africa and Egypt, two of Africa’s biggest economies in terms of manufacturing and services, are the main forces driving the TFTA, followed by Kenya and Mauritius. Angola, Mozambique, the Democratic Republic of the Congo and Ethiopia could also play key roles in fostering the region’s economy as they are expected to absorb a large share of the region’s exports while supplying cheaper inputs such as electricity, petroleum, gas and other raw materials. Even as the bigger economies take advantage of the opportunity of an expanded and liberalized market, less advanced economies could also benefit from the TFTA. For example, countries in the EAC, such as Kenya and Uganda, have the most advanced customs union, which they will be expected to deploy to increase the pace and depth of integration. However, experts caution against high expectations of the TFTA because of existing hurdles that may slow down its implementation. For instance, the current low level of intra-regional trade in Africa could impede attempts to boost trade volume within the single market. In addition, some countries have overlapping memberships in the regional economic blocs, leading to incoherent national trade policies. Also, there are varying levels of socioeconomic development across countries, particularly in industrial, infrastructure and energy sectors, making it difficult for some participating countries to implement the agreement as speedily as others. Open trade with a country with very different economic characteristics will yield predictable results — however, for African farmers, opening to trade with their similarly agricultural neighbours is a fraught prospect. When considering increased trade between two agriculturally dominant African countries, it is not immediately apparent which country will have the comparative advantage in its existing agricultural production — this uncertainty stunts regional economic integration. Experts have argued that there is a lack of political will in some countries to implement the TFTA agreement. Already, not all participating countries have ratified the agreement, although they have until the end of the year to do so. Even South Africa, one of the most influential within the block, along with Botswana, Lesotho, Mozambique and Zambia, have yet to sign the TFTA, which must be ratified by two-thirds of the participating countries before it comes into force by the expected date — January 2016. Even if two-thirds of the countries do not ratify the agreement, Mr. Ngwenya, the COMESA official, says the ball will keep rolling. “In the event that not all the 26 countries sign the tripartite, we shall use the principle of variable geometry in terms of implementation, because those that are ready must move on. If we allow one or two countries that are not ready to hold up the process, then we will never move.” The principle of variable geometry means that members from an integration scheme will be flexible enough to adopt different speeds to make progress. A major sticking point for many undecided countries is the TFTA’s elimination of trade taxes, which serve as a major supplier of domestic revenue. The TFTA requires all countries to open up their markets to duty-free imports, which could spell some revenue loss. To this point, the TFTA includes phased reduction of tariffs, specifically the immediate liberalization of just 63% of tariff lines, to address such revenue losses. Overall, there are many enticing elements in the TFTA. By harmonizing policies on trade, movement of business persons and industrial and infrastructure development, the agreement will expand the market for goods and services and subsequently promote greater intra-regional trade. Mr. Kapkirwok hopes that all forms of trade barriers such as import and export restrictions will eventually be eliminated. While the TFTA may accomplish its goal of an expanded market for countries in the single trading bloc, Africa still needs to be more prominent in the international trade arena, says Mr. Kapkirwok. Africa should implement prudent macroeconomic policies and regulatory reforms, he says, and countries should embrace good governance and establish competent institutions. Currently, massive infrastructure deficit impedes trade and development, according to Mr. Kapkirwok, and underscores the need for Africa to understand properly the international markets, and to build better trade facilitation and services programmes across all the regional economic communities. Overall, the hope is that TFTA’s success will strengthen one of Africa’s ambitions — the establishment of a single market. Reducing poverty in Africa is the world’s supreme development challenge, and growing the agricultural sector is key to achieving a transformational impact. 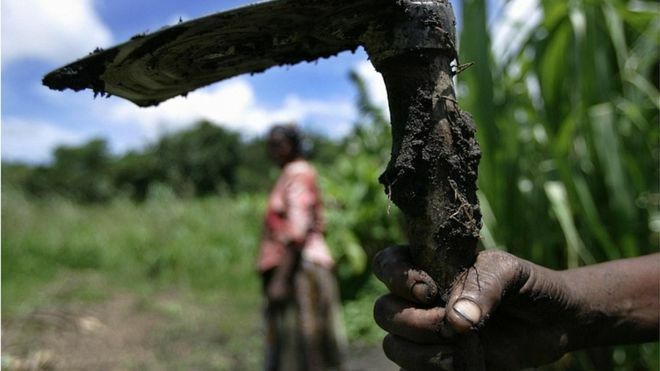 The agricultural economy employs 65–70 percent of Africa’s labor force. Agricultural production is the most important sector in most African countries, averaging 24 percent of GDP on the region. Agribusiness input supply, processing, marketing, and retailing add about 20 percent of GDP. Agriculture and agribusiness together account for nearly half of GDP in Africa. Since 60 to 80 percent of the African population resides in rural areas, a revitalized agricultural sector would generate rural employment opportunities and reduce rural poverty. In some countries in Africa growth rates for agriculture were much higher than those for manufacturing and only slightly lower than those from industry and services. Since economic progress depends on shifting resources from agriculture to other productive sectors, the necessity of increasing productivity in the agricultural sector comes sharply into focus. Given the relative importance of the agricultural sector in the economies of most African countries, addressing economic growth and development at national level continues to require significant attention to rural areas and to agricultural productivity in order to enable rural farmers to produce sufficient surplus to grow their local economies. Significant gains have been experienced in the course of last two decades in the pure agronomical front, although it´s still not enough to shift productivity rates to where these are in other parts of the world. At the same time, in a parallel path, progress has happened in the marketability of crops and ultimately, in the profitability of farms; some value chains have taken-off, awareness on the need to sell and not just produce, softening of trade barriers, etc, are rooting in the mindset of stakeholders. However, again, the performance is far from where it should be and that of the potential enclosed. It is intuitive to say that “education is a necessary, but not sufficient condition for economic development.” This implies that while education is essential, additional factors are also necessary (employment opportunities, favorable business climate, etc.). Other causes may intervene to negate the benefits of education (conflict, corruption, etc.). This makes it difficult to provide clear empirical quantification of the relation between increased education and economic performance or to make comparisons between countries. But there´s no doubt that agricultural training and education have a direct impact on agricultural productivity and on the performance of ancillary businesses and trade. They also stimulate implementation of knowledge-driven economic growth strategies and poverty reduction. The focus of development has turned from agriculture to rural development recognizing that conventional farming was beginning to produce many undesirable side effects such as soil degradation, erosion, polluted water, and, with irrigation, salinization. The term rural development recognizes the linkages between agriculture, natural resources, human settlement, and biodiversity. It further recognizes that sustainable development requires the cooperation and inputs of other sectors such as infrastructure, education, health, and energy. It is now evident that the sustainable development of the rural areas will depend on non-farm employment in addition to agriculture. One of the current challenges to agricultural education is how to meet the challenge of providing education and training for rural development rather than for agriculture alone. It is clear that the older curriculum that concentrated on production agriculture is no longer able to produce educated people who can deal with the wider problems of rural development. In most parts of Africa food security is still a critical issue and therefore food production will continue to be a major focus of universities and other agricultural education institutions for some time to come. The delivery of quality education and training is a major challenge. It is becoming increasingly difficult to view agricultural education from the perspective of the university or the diploma granting college or the farmer’s training center alone. We are accustomed to thinking about the university as the center of the education system and indeed we should, for African universities will be the primary source of human capital for agricultural research agencies as well as the source of future academic staff members. However, the graduates of the university are influential in many ways in the staffing, management, funding, and operation of the Colleges, training centers, research centers, and extension services suggesting that education and training is part of a system which serves the agricultural sector. Increasingly, the pressure is on for the system to serve not only agriculture but the needs of the broader rural sector. After decades of neglect, agriculture is again receiving attention from African governments, investors, and other partners, but their attention should extend to agribusiness. Based on this framework, we can see the relationship between economic growth, poverty reduction, agricultural development, and agricultural education. The central role of agriculture in economic growth and development in Africa has long been widely recognized. World wide, agriculture has had an amazing success record. Despite serious droughts; despite floods and storms; despite the ravages of pests; and an exploding increase in population, the production of food has never been better. We have defeated the threat of mass starvation. Success has been assured by the scientists, teachers, and extension workers who discovered, transmitted and disseminated vital technological findings to the farming public. Yet, there is a constant pressure on the universities and other education and training institutions to adjust to the realities of change. As with so many aspects of development, agricultural education in Africa (and elsewhere) now faces rapid and often perplexing changes in the environments in which it exists. It faces a variety of challenges and dilemmas, but also of new opportunities and possibilities. Because agro-industries are uniquely situated between raw and natural sources of supply and the dynamics of food and fibre demand, promotion of agro-enterprise development can provide positive impacts on employment in both rural and urban areas; offer market access to small-holder agriculture; present business linkages to small and medium-sized enterprises (SMEs); and enhance food security by reducing post-harvest losses and extending the shelf-life of food and fibre for the rapidly increasing urban poor. The combined effects of employment gains and food security through improved agro-industry competitiveness becomes an important strategy for reducing the overall poverty within developing countries. Developing strong and viable agro-industries requires a different mix of skills, policies and institutions from the traditional, mostly farmer focused ones. Agribusinesses have a different objective function—maximizing profits—and often require an enabling environment to thrive. To fill this gap, a multitude of new policies, initiatives and institutions have emerged in developing countries in the last two decades. These interventions, mostly designed to facilitate the participation of SMEs, include warehouse receipts, business clusters, micro-finance institutions, technology parks, business development services, contract farming and public investment in transport and infrastructure investments. Much has been written about both the theoretical basis and the empirical evidence of these interventions. The role of AET in fostering agribusiness growth in developing countries is, however, relatively under-explored. Perhaps the hardest aspect to change about training and education for agribusiness is the overall paradigm that governs our approach to the subject. Traditional AET has existed and has been institutionalized over many decades. It is mostly these same institutions that are now taking on the challenge of building capacity for the agribusiness sector. This makes sense from an efficiency point of view as it maximizes economies of scale and integrates agribusinesses to traditional fields of AET. However, this approach forces the subject matter of agribusiness to fit into the rather static infrastructure and ideologies which were developed for traditional agricultural fields –mostly farming. In so doing, we miss the opportunity to challenge existing paradigms for AET that have not kept pace with recent dynamics in the macro-environment. Figure 1 illustrates some key areas for which a new paradigm is the need in shifting from traditional AET to an Agribusiness centered education and training. First, the approach needs to shift from producing disciplinarians with a narrow but in-depth knowledge base to producing well rounded professionals with requisite skills to get the job done. Secondly, graduates of AET need to be more competitive and employable not just in government departments but within the general market that now includes private agribusiness. Likewise, the production orientation that seems to govern traditional orientation needs to be replaced by a market oriented approach that prioritizes meeting consumers’ needs. Unfortunately, most institutions are designed to defend the status quo and hence change might take very long to develop and implement. An interim strategy might be to give some degree of autonomy or flexibility to agribusiness education and training programs. The attention focused on production agriculture will not achieve its developmental goals in isolation from agribusinesses, ranging from small and medium enterprises to multinational companies. The challenge is thus threefold: develop downstream agribusiness activities (such as processing) as well as upstream activities (such as supplying inputs), develop commercial agriculture, and support and link smallholders and small enterprises to productive value chains. While the status of AET in Africa has been under analysis within the past decade, focus on agribusiness per se has been limited. It is undisputed that the market for students graduating from agricultural science departments has changed significantly over the years from mainly government sector to private agribusiness sector and non-profit organizations. Historically, African countries based their agricultural education and training systems on meeting the human resource requirements of public service or parastatals. Most graduates found employment in the government civil service. By international standards African Universities are very young, dating from the 1960s when the independence movement began to gain momentum. The African universities have achieved much in a short time, but now the changing global scenario and the need to adapt are challenging these institutions greatly. While significant progress has been made in integrating agribusiness management into university curricula, the current offerings are far from comprehensive. Demand for agribusiness leadership and management has come from an industry characterized by evolving structures and business models. Academic institutions and non-governmental organizations (NGOs) that provide education and training are struggling to meet the new demand for skills for the emerging agribusiness sector in terms of number of people trained, quality of training programmes and relevancy of skills offered. Further complicating the matter, very little research has been done to understand the current dynamics in academic as well as executive training for agribusiness in Africa. Consequently, investors, NGOs, public-policy makers and leaders of academic institutions often make key decisions on how to adapt to this changing agribusiness environment with limited information and expertise on the subject. Today’s agribusiness managers have to contend a broad range of socio-economic issues such as gender, conflict resolution, technological advancements, environmental sustainability, natural disasters, global economic crisis and ever-changing socio-political dynamics that are part of the agribusiness operating environment. It is the responsibility of academic institutions and other capacity-building organizations to churn out the type and number of graduates that are able to tackle not only today’s challenges, but future ones that are yet unknown. This will require great vision, careful planning and perhaps institutional innovation that departs from traditional paradigms. Two important regional trends shape the larger context for such an undertaking and reinforce efforts to modernize agricultural education in Africa, particularly at the postsecondary level. The first is the growing attention to, and conceptualization of, “agricultural innovation systems.” This is an increasingly popular concept in the study of how societies generate, exchange, and use knowledge and information (World Bank 2006). It is believed to add value to previous conceptualizations of agricultural knowledge and innovation systems (AKIS) by (1) drawing attention to the totality of actors needed for innovation and growth; (2) consolidating the role of the private sector and the importance of interactions within a sector; and (3) emphasizing the outcomes of technology generation and adoption rather than the strengthening of research systems and their outputs. An agricultural innovation system (AIS) can be defined as comprising the organizations, enterprises, and individuals that interact to demand and supply agricultural knowledge and technology, as well as the institutions and policy incentives that influence their performance. The purpose of AIS is to accelerate the movement of ideas, create marketable products, and promote economic competitiveness. Figure 2 presents a graphic representation of an agricultural innovation system. As shown, an agricultural innovation system framework embeds AET within a larger, more complex system of diverse agents whose interactions are conditioned by formal and informal socioeconomic institutions. The framework captures not only the influences of market forces, but also the impacts of organizational learning and behavioral change, non market institutions, and public policy processes (e.g., labor, regulatory, science and technology, environmental, energy, industrial, trade, intellectual property). An important contribution of the innovation systems framework is that it shifts the analysis from a conventional model of one-way information transfers to a more complex, process-based systems approach. This shift is appropriate for the study of AET given that agricultural development in Sub-Saharan Africa is more and more influenced by complex interactions among public, private, and civil society actors, and increasingly conditioned by a variety of rapidly changing institutions. Specifically, the AIS approach focuses analytical and policy attention on the capacity of individuals and organizations to learn and innovate, on organizational cultures and behaviors that facilitate (or impede) this process, and on networks and dealings among innovation agents . The second trend is a groundswell of attention to the relevance and organization of tertiary education systems on the continent. This is driven by rising awareness of the role of human capital formation in enabling national productivity and growth to improve within an increasingly integrated and competitive global economy. This awareness is generating a more systematic and market-oriented approach to education sector development, which recognizes the backward linkages of tertiary education to secondary (and primary) education, as well as its forward linkages to employment, employers, and the general labor market. The reform agenda associated with this enhanced understanding of tertiary education revolves around the visions and mandates for various types of tertiary institutions, their relevance to national development priorities, greater stakeholder representation in their institutional governance, increased autonomy (with accountability) in institutional management, changes in curricula and teaching practices, improvements in incentive systems for academic staff, alternative financing strategies, public-private partnerships, and the realization of new opportunities arising in science and technology. One example of how these two trends may converge is the 2003 Jinja Consensus, which calls for the creation of a new African agricultural university to produce a distinct generation of agricultural graduates who will become entrepreneurs and wealth creators rather than cogs in the wheels of existing public agricultural education, research, and extension organizations. It calls for tertiary education to be grounded in student-centered learning in which instructors facilitate rather than direct the learning process and infuse graduates not only with market-oriented skills, but also with a new standard of morals, awareness, and ethical behavior. The two trends outlined above should combine to create a more receptive environment for modernization within the sphere of African agricultural education and training. Modernising Africa’s agriculture sector to attract young people will help tackle youth unemployment and food insecurity, a report has suggested. The findings were outlined in the 2015 African Agriculture Status Report. Despite the dominance of agriculture in many economies, outdated land-tenure systems and poor access to finance deter new entrants to farming, it said. The call for action was presented at the African Green Revolution Forum, which is being held in Zambia. 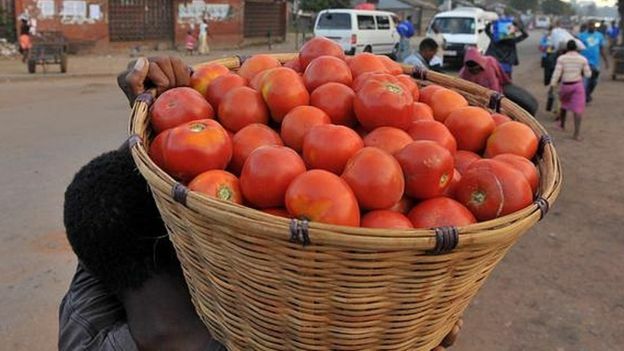 The report, produced by the Alliance for a Green Revolution in Africa (Agra), warns that the continent will not solve its chronic food shortages or worrying unemployment levels among its youth without wholesale changes. In 2015, the African Union issued a declaration to double food productivity and halve poverty by 2025. The report’s co-ordinating editor, Agra’s head of strategy, monitoring and evaluation, David Sarfo Ameyaw, said the report highlighted a direct link between the rising level of unemployment among the under-25s and food security concerns. But, he added, the two issues also presented a clear opportunity to deliver a solution. “Channelling the energy, strength and dynamism of Africa’s youth into productive, competitive and profitable agribusinesses… will boost agricultural production systems, create jobs and generate incomes,” he said. He told BBC News that studies had shown that a 1% increase in GDP from the agriculture sector reduces poverty five times as much as any other sector. However, there were a number of long-standing barriers that prevented or deterred future generations of would-be agribusiness leaders. One was the lack of access to land. “Africa has the highest area of arable land in the world but because of the limitation of our land-tenure systems and land policies, it is very difficult for the youth to access land,” Dr Sarfo Ameyaw explained. Another constraint was accessing finance facilities. He said that even if a young person identified some land, it was hard to find the finances to buy the land and made it very hard to get a foot on to the agriculture ladder. Figures from the African Union Commission estimate that about 65% of Africa’s population is below the age of 35 years, with 10 million youths (15-35 year-olds) entering the workforce each year. It is also estimated that agriculture provides 65% of the continent’s jobs. And as the world wakes up to the challenge it faces to feed a growing population that is forecast to exceed nine billion by the middle of this century, Africa holds up to 60% of the world’s uncultivated arable land. Dr Sarfo Ameyaw said, along with reforms to the barriers and constraints identified by the report, there was also a need to “rebrand” the image of farming and the opportunities for employment the sector offered. “When you talk about agriculture in Africa, everyone is talking about the production aspect, being on the land,” he explained. “But agriculture is about R&D, improved distribution, access to markets, improved technology, processing, retailing.